Description: Beautiful 2 story home located outside city limits on a level lot. 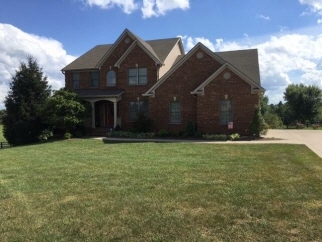 Lots of space with 5 bedrooms, 3 1/2 baths, formal dining room, family room, formal living room, bonus room, recreation room and workshop. Full sized finished walk out basement, laundry on 1st floor. New roof in 2013. Reflashed chimney in 2015, recaulked outside in 2015. 2 car attached garage. In-ground pool with fenced area. Data believed correct but not guaranteed. Buyer to verify data prior to offer. Agents read agent remarks.